Garden of England, home to cherries (check), apples (definitely), hops (for sure), sparkling wine (don’t mind if I do), cheese (if you insist) and gin (mmm... are you sure about that one?). Yes, yes we are! In fact right now, right here in Kent, we’re riding high on the cusp of an exciting, passionate wave of craft distilling that’s taking the world by storm. However it’s very much a contemporary industry, as despite some small scale “moonshining” and a snifter of 17th century Maidstone gin, distilling, surprisingly, was never a traditional industry for Kent. Odd when you look at the current success and more importantly the variety and abundance of our fresh produce, from cobnuts to samphire, soft fruits, grapes and more that are infusing and accompanying a whole range of quality Kentish gins, vodkas, whiskies, rums and brandy, as well as liqueurs. 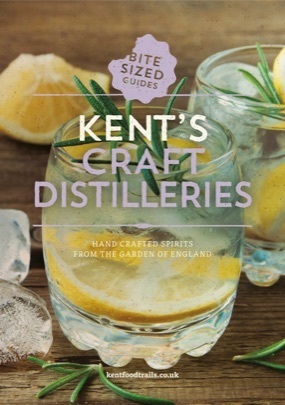 Even better, our master distillers are making the most of ‘local’, working with Kent’s farmers, utilising surplus grain and fruits and blending them with top secret recipes to produce an array of unique spirits with an authentic taste of Kent in every glass!